Flemish painter. 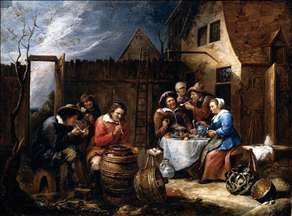 He is said to have learnt to paint from his father, then studied with David Teniers the Younger. In 1654 he became a member of the painters guild in Brussels, and from then ran a busy studio, although few of his pupils can be identified. 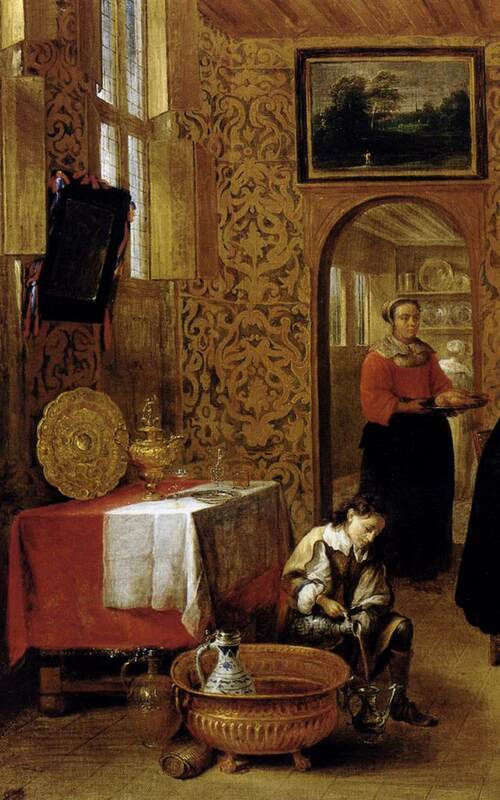 His paintings are mostly signed with the monogram TB and dated between 1650 and 1671. 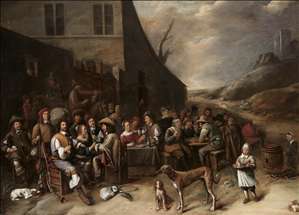 He painted genre scenes of peasant life, such as kermesse and tavern scenes, in the manner of his master and of Joos van Craesbeeck. 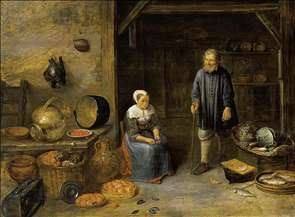 Van Tilborgh s use of colour is lively, with reds and blues reminiscent of Teniers. He often depicted couples half-length, as in a number of allegorical series he made of the Five Senses (e.g. signed series, Muses Royaux des Beaux-Arts, Brussels). He also specialized in group portraits of bourgeois citizens, similar to those of Gonzales Coques, but with somewhat stiff figures and an ever colourful palette. He occasionally painted biblical scenes (e.g. Adoration of the Shepherds, Koninklijk Museum voor Schone Kunsten, Antwerp), but after June 1666, when he was appointed keeper of the picture collection in Tervuren Castle, near Brussels, he painted mostly interiors of Kunstkammern. 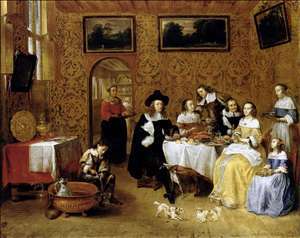 About 1670 van Tilborgh travelled to England; he presumably visited Tichborne House, Alresford, Hants, where in 1671 he portrayed Sir Henry Tichborne and his family giving alms (The Tichborne Dole, Alresford, Tichborne House). 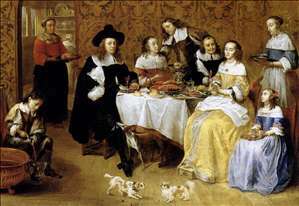 See more details about "A Barn Interior"
See more details about "Boors Eating Drinking and Smoking outside a Cottage"
See more details about "Outside a Tavern"
See more details about "Family Portrait"
See more details about "Family Portrait "